In her bid to make what may be Seattle’s oldest bar newly relevant, Derschang brings style, star quality and 25 years of experience running neighborhood hangouts. Linda Derschang is to Queen City what Meghan Markle is to the house of Windsor. 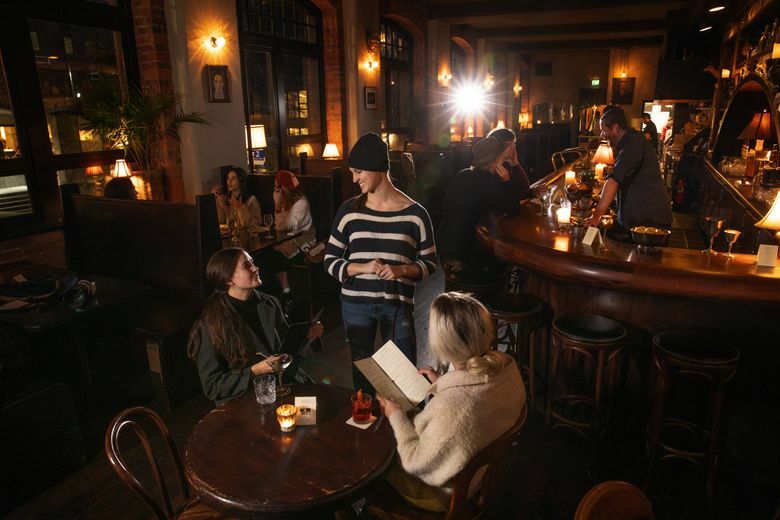 In her bid to make what may be Seattle’s oldest bar — and arguably its most regal — newly relevant, Derschang brings style, star quality and the common touch, not to mention 25 years of experience running neighborhood rendezvous spots. Call her the restaurant whisperer. Derschang intuits potential and coaxes a place into being its best self. She knows who her customers are and doesn’t try to lure anyone very far from their couches. Her places are neighborhood hangouts. If you’ve been to Oddfellows Café, Smith, Tallulah’s, King’s Hardware or Linda’s Tavern (Derschang’s first venture, opened in 1994), you’ve experienced her magic touch. She creates her signature look with art and found objects, light and shadow, wit and weird taxidermy. 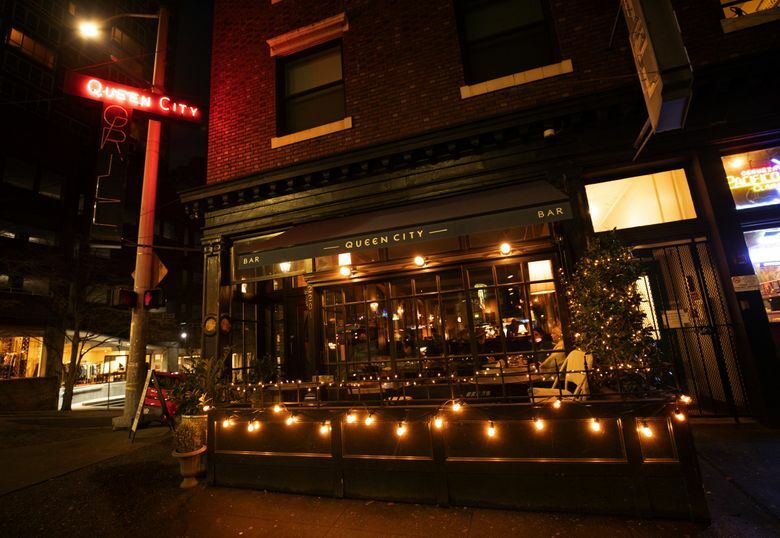 At Belltown’s Queen City, a stuffed fox named “Royal” presides over the entrance, perched above a chalkboard that instructs all comers to “Please seat yourself” (21 and over only). The vintage corner storefront, with its arched transom windows and acres of mahogany, gives her a lot to work with. It first opened as a saloon in 1910. As Queen City Grill, it was a fine-dining destination for decades. Two years ago, the owners of Cantinetta took it over and significantly restored the interior, but the kitchen struggled with consistency. Derschang deleted “grill” from the name (and darkened it on the neon sign out front). She brought in her own team to execute a tightly edited menu of bar food, updated classics made with high-quality, locally sourced ingredients. Will Richey, who was the chef at Tallulah’s (which she sold last year), oversees both Queen City and Smith on Capitol Hill. Myles Burroughs, the Derschang Group’s beverage director for the past five years, created the drink program. It includes natural wines and the company’s first experiment with nitro tap cocktails. Temperature wasn’t an issue with the other two tap-dispensed drinks, served with ice. A single large cube chills the Old-Fashioned, in which Maker’s Mark Private Select meets Montenegro amaro. The very sweet mojito comes in a tall glass filled with crushed ice, fresh mint and lime. 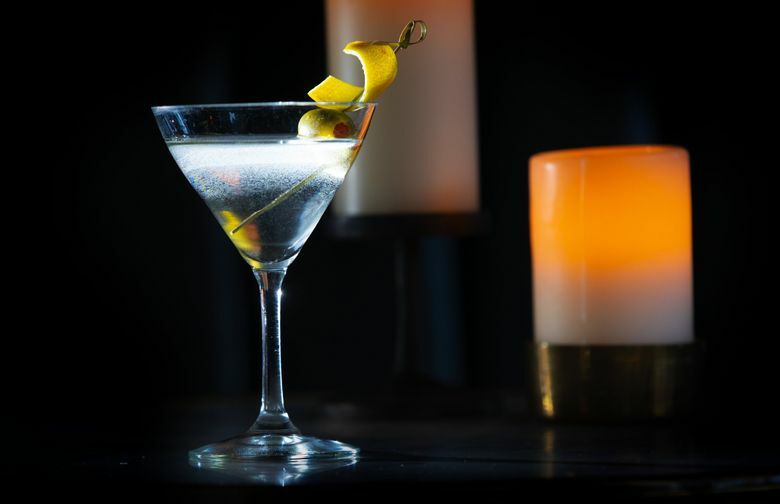 Other cocktails are still shaken and stirred in time-honored fashion. Among the bar’s original concoctions was a special that mingled gin and bubbly with horseradish and lemon over crushed ice. They called it Apollonia. I’d call it a Bloodless Mary. Apollonia was a fine companion for deviled eggs, with their pinch of pimenton, for dense but peppery hush puppies with a side of black garlic aioli, and even for the Smith Burger. The latter has no extraneous elements beyond lettuce, tomato, onion and pickle to distract from its thick, juicy patty of Washington beef on a Grand Central Bakery seasoned brioche bun. The fries are excellent, and you get a mess of them. If you must have a sauce on your burger, ask for the house aioli. It can double as a dip for the fries, if ketchup isn’t your jam. A bar has got to have a burger, but how often do you come across a crudité plate, much less one as flagrantly colorful as a summer garden? And how many bars offer bruschetta with seasonal toppings or a truly great salad? 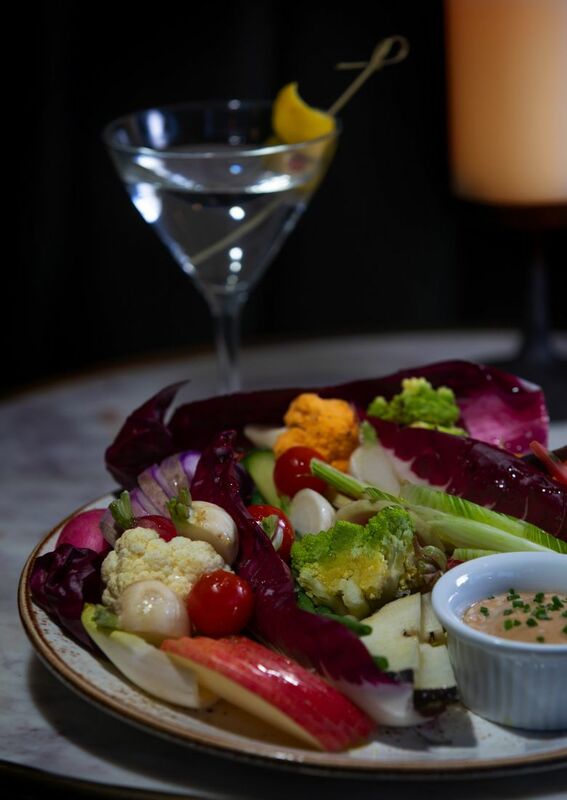 The crudité plate included several different radishes, treviso, endive, carrots, cauliflower, fennel and Romanesco, gathered around a bowl of anchovy-lashed bagna cauda aioli. Butternut-squash confit, spiced apples and creamy ricotta are the current glories crowning the bruschetta. 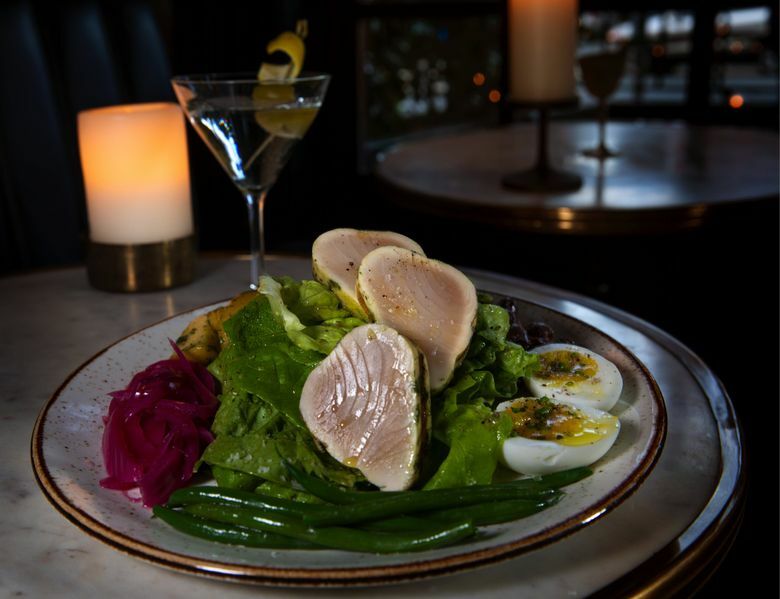 Niçoise salad showcased local albacore from Fishing Vessel St. Jude. Tarragon ran rampant through the vinaigrette that dressed the butter lettuce underneath the seared-rare slices of sashimi-quality fish. Olives, haricot verts, potatoes, pickled red onion and a boiled egg with a jammy yolk wreathed the plate in characteristic Niçoise style. Mussels steamed with lemon, thyme and white wine; hanger steak grilled as skillfully as the burger; roast chicken; and gnocchi round out the entrees. 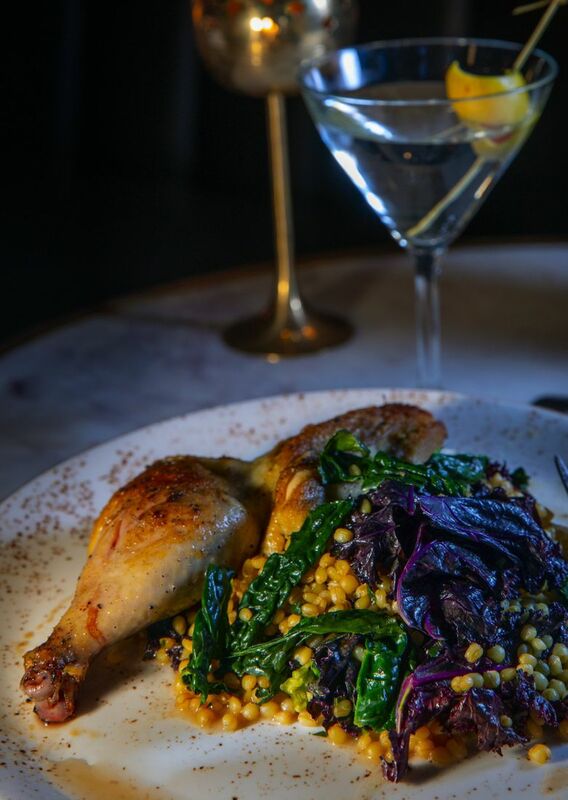 A side of Sonora Gold wheat berries and sautéed kale cozied up to the half chicken, boned but for the drumstick, brined with restraint and skillet-roasted to golden-skinned splendor. Caciocavallo cheese and maitake plus other wild mushrooms joined butternut-squash gnocchi. They were surprisingly light given their sizable girth, but the mushrooms were left in large, unwieldy slabs and the cheese clumped. The result was a dish long on flavor but short on finesse. There is only one dessert: a hot fudge sundae with syrup-soaked cherries, walnuts and bits of toffee that will send you digging deep into its gooey depths. It could become as iconic as the Queen herself.